In an interview to Tamil newspaper Daily Thanthi, PM Modi said in the recent times it has been observed that some people hinder the implementation of developmental projects in states. Prime Minister Narendra Modi has said there are proof of links between terror outfits and those who oppose infrastructure projects in states. "There are proof of such people having links with terror outfits. It is not only me who is saying this, even my predecessor Manmohan Singh had rightly said that some foreign non-governmental organisations (NGO) are instigating protests against the nuclear power project in Kudankulam," PM Modi said in an e-mail interview to the newsdaily. He was responding to a question about Union Minister Pon Radhakrishnan saying that there are movements of terror organisations in Tamil Nadu and their activities are of serious concern. Continuing further, he had said that these terror outfits create fear among innocent people about projects that are for the welfare of people. Asked about Bharataiya Janata Party (BJP) President Amit Shah's statement that Tamil Nadu is one of the most corrupt states in India, PM Modi said it is the right of the people of that state to estimate the performance of their governments. "My government is against corruption. It will fight corruption wherever it is. No other government since Independence has fought against corruption like ours," PM Modi said. 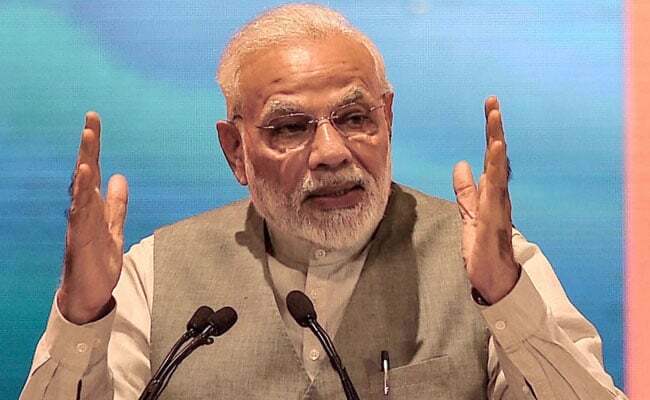 On the issue of aligning with Rajinikanth when he floats a political party, PM Modi said the question itself is hypothetical and he cannot be expected to answer that. PM Modi said without the support of AIADMK and DMK, the BJP won one Lok Sabha constituency in the last general elections. "It is not an ordinary achievement in Tamil Nadu. We have some traditional pockets of support. That support base is now expanding. For a long period, the choice was limited in Tamil Nadu elections, but now youth are in search of an alternative," PM Modi said.